Really! Is it Easter already? 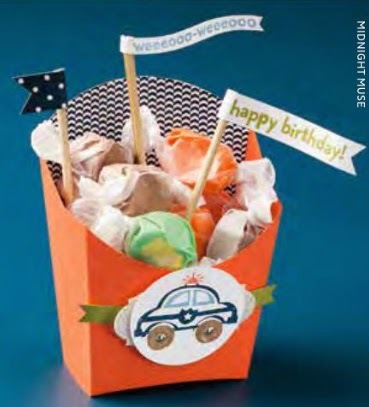 This week over at Just Add Ink the design challenge is Easter Bags, Baskets or Boxes. Just in time for all the Easter gift giving. Be sure to pop over to see the design team to get some inspiration. I've been inspired by the little box on page 51 of the main catalogue. A little fries box, which I think is totally adorable! I thought I would share a close up without it wrapped in cellophane. 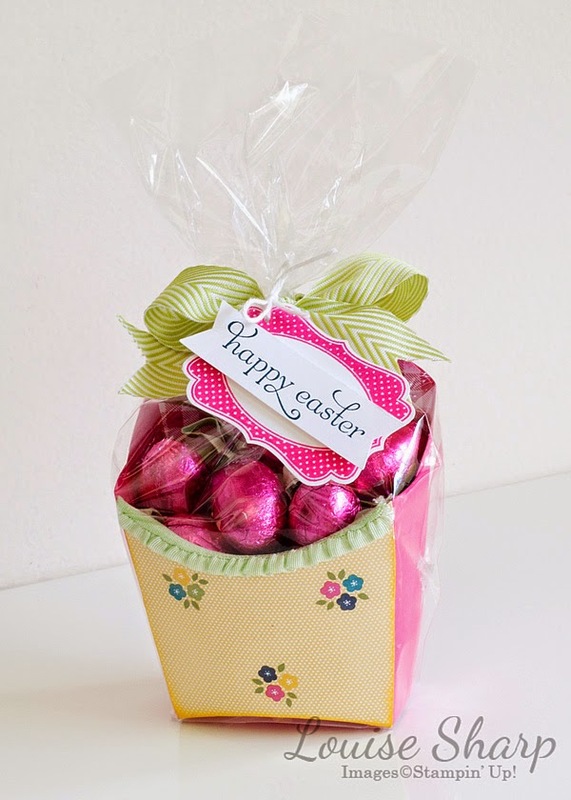 These are such a great idea for Easter. Love them. 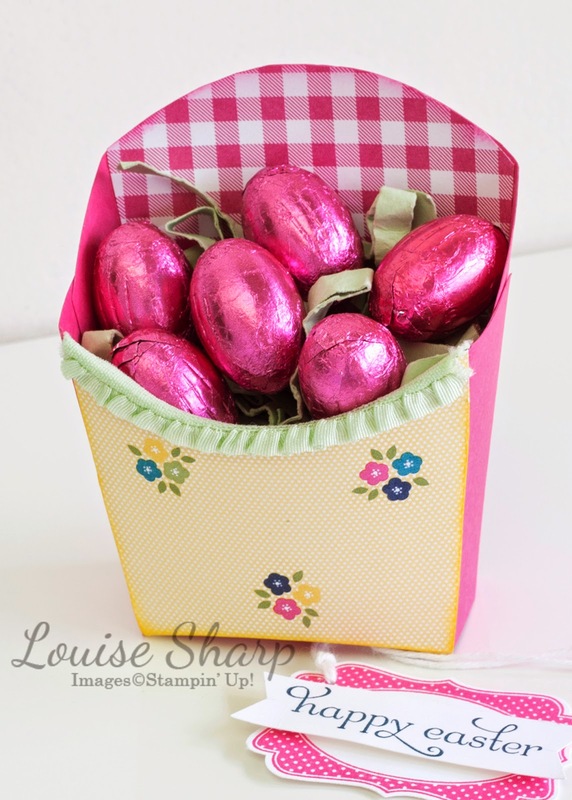 Such an awesome way to package all those little Easter Eggs Lou!